Promotive – the premier producer of selectors, colour cards, swatch books, brochures and stripes for a wide range of signmaking materials. A handy tool for choosing the right colour, fitting the signmaker’s pocket. An ideal size to show your products. An indispensable piece to complement the corporate sales tools collections. Timeless all-rounders in the signmaker’s world. Possible to be made of almost any material. Cost and material efficient. Add value instead of the cost, get colour cards in the design and volume you really need. Great way to start promoting your product lines by showing a full range at a glance. Customized swatch books offer a practical way of accomodating samples, representing an extra value for your partners. Show more to your clients. 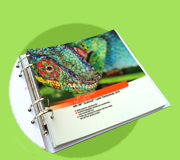 An attractive presentation tool suitable for various kinds of media, no matter if adhesive or not. Printed or neutral with labels, or combined Bound by screws, wire-o, rings, … The choice is yours. Custom-made folders look good and they can store all your samples, colour cards as well as further marketing information in one place. All in one for your salesforce or customers. Because transition from physical to digital is inevitable. 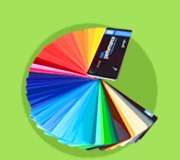 We can deliver your material samples directly to signmaker’s pocket. Exact colour and material selector application for signmakers. Strong market understanding, 20 years in signmaking industry. 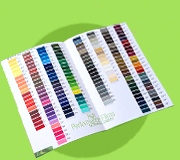 More than 3 million swatches/ colour cards produced. Delivering to 60+ countries on 5 continents. Customers are major players in signmaking industry. Apps used by 90k+ users worldwide. 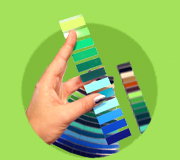 Promotive was founded in 1998 in Bratislava, Slovakia by the former managers of a successful signmaking supplier in a response to the market need for professional colour sampling and colour definition products and services. Based on our experience, the company‘s general objectives are to supply the market with colour related sample tools on demand of the customers; as well as to offer, consult and implement new product and service ideas to the market. Promotive is a premier producer of colour and media selectors in form of swatches, swatch decks, swatch cards, colour cards, swatch books, media guides, sample kits, promotional collections, brochures, stripes, as well as other useful sample tools. We can transform wide range of signmaking materials, like vinyls, reflectives, translucents, banners, solar films, laminates, wall paper, textiles, heat-transfer media, digitally printable media, etc., into sales tools to help signmakers all around the world make the right choice.Promotive is also the creator of numerous apps for smartphones and tablets: Coloreal™ – the signmaking colour and material selector app, Car Wrapper 3D – the app for simulation of wraps on 3D car models using real materials, and Boat 3D – the boat presentation and customisation app. Full-service approach to production of marketing sample tools. 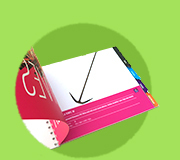 Physical sales tools: rolled and sheet material converting, material and brochure printing (offset printing, screen printing, UV printing, Gerber Edge, waterbased, solvent, eco-solvent, latex etc. 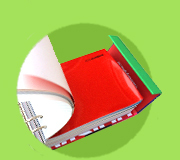 ), laminating, digital formatting, cutting, automatic and manual stripe production, hole-drilling, wire-o, ring-binding, screw-binding, customised folder production, collating/ assembling, individual wrapping, packaging, or even production of customised packaging and delivering to your partners or customers directly. Mobile and web applications: software development, maintenance, content aggregation and management.